The Property Tax Board of Appeals will hold scheduled Appeal / Exemption Hearings Thursday, April 11th, 2019 at 8:30am in the Lower Conference Room of the Wayne County Annex Building. The Assessor’s Office is responsible for estimating the value of your property, expressed as its taxable or assessed value. Assessments are based on guidelines and regulations enacted by state legislators and adopted by the Indiana Department of Local Government Finance. This is accomplished by discovering, listing and calculating. The county assessor then certifies assessed values of real and personal property to the county auditor for taxes. We serve as the secretary of the County Property Tax Assessment Board of Appeals within the county. The County Assessor works closely with the Department of Local Government Finance, which adopts the rules for assessing of property in Indiana. We also answer taxpayer’s questions and assist appraisers, realtors, insurance agencies and lending brokers with property information daily. We are responsible for all exemption and sales disclosure filings. Wayne County is divided into fifteen townships and 34 taxing districts with a total of 35,066 real estate parcels and 4442 personal property parcels. 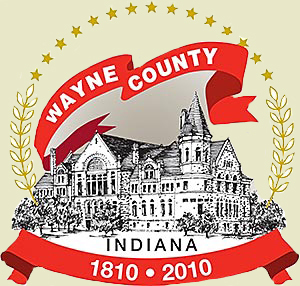 Wayne Township has an elected assessor who works with the County Assessor to maintain fair and accurate property information. The annual date of assessment is January 1st of each given year. On this date, the total value of each person’s real and personal property is assessed for tax levy purposes for the current year. Real property (land & structures) is assessed annually and whenever a change is made. Businesses filing a total acquisition cost under $20,000 per county are now Exempt from taxation, SEA 1C 6-1.1-3-7-2. Businesses with less than $20,000 must file a 103 Personal Property From. (a 102 Personal Property Form for farms) A $25 penalty will be added to next year’s tax bill as a failure to file by May 15th. January 1st is the filling date for Business Personal Property forms. Returns are due or must be postmarked by May 15th of each given year. Failure to file all forms on or before the due date will result in penalties being applied to next year’s tax bill per IAC 4.2-2-10 and cannot be waived by our office. We do not mail Business Tangible Personal Property Forms. Forms can be downloaded from the Department of Local Government Finances website www.dlgf.in.gov or you are welcome to visit the County Assessor/Township Assessor office, if you need additional assistance completing the forms. All forms must be signed and dated or will be returned. Please inform our office if you are no longer in business, have moved or filed under a different name and we will make the appropriate changes. For more information or assistance, please contact Betty Smith-Henson, Wayne County Assessor or Timothy Smith, Wayne Township Assessor. The purpose of this form is to notify you of the assessed value of your property as of January 1st 2019. Tax bills for this assessment will be mailed in April 2020. Please DO NOT call the Assessor's office with tax amount questions. Tax amounts will not be known until the tax bills are printed in the spring of 2020. The base rate for Agricultural land has changed to the amount of $1560 per acre. This rate is set at the State level and cannot be appealed. The Classified Forest base rate has changed to $13.85 per acre. The FINAL DAY to appeal the value on this notice will be June 15, 2019, since this is a Saturday you will have until Monday June 17, 2019. If you believe this assessment is not accurate, you have 45 days from the date on this notice to file an appeal with the assessor. THIS WILL BE THE ONLY CHANCE YOU WILL HAVE TO APPEAL THIS ASSESSMENT. Your assessment should represent the "Market Value" of your property. Please remember, you cannot appeal the amount of your taxes. If you believe your assessment is in error, base your appeal on the assessment/market value. If you would like to review your property record card, you may do so at: https://beacon.schneidercorp.com/?site-WayneCountylN. Enter your name or parcel number in the "Search for" box. Click on Property record card. Your property record card will pop up for review or you may print it out. Last date to file a Form 136 Application for Property Tax Exemption is April 1st. Two copies of the form must be filed with the County Assessor of the county where the property is located.